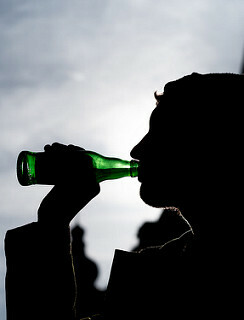 A study by Haines and Spear in 2010 indicated that over a 5-year period in a college in Illinois, a media campaign with an aim to change students’ views regarding binge drinking was seen to be the cause of an almost 19% decrease in the number of students viewing binge drinking as a norm, resulting in a 9% decrease in binge drinking overall from students. On the other hand, surely there must be other factors that alter students’ perceptions of the causes of binge drinking just as strongly as social norms, however they may be more subtle and less talked about. More reasons as to why some may turn to binge drinking are stress, anxiety, insecurity, relationship trauma and mental health issues. Naturally, these causes will slightly differ in their severity or their awareness depending on the culture focused on. With this knowledge in mind comes the spectrum of opportunities and areas of work that can be investigated to alter student behaviour in participating in binge drinking, and how to target specific factors of prevention to decrease the numbers of student binge drinkers at university. On the other hand, if focusing on a large community of students consisting of international and home students, it may be more difficult to alter students’ behaviours in binge drinking if their perceptions in the causes of binge drinking differ drastically. Binge ­drinking is undoubtedly a popular activity in student culture and in many cultures on a global scale, however are there significant differences in the perception of the causes of binge drinking in different in Durham students living in the UK for more than two years, or less than two years? In a recent study conducted in the second-year Psychology Research Methods module, the whole year completed an online questionnaire regarding their perception towards binge drinking to explore this question further. The student participants were all 18-24 years old, all lived in college in their first year of university, and all drank alcohol. The participants were numbered, and the first 10 students who met these criteria were chosen randomly. These ten participants consisted of 5 students who lived in the UK for less than two years (Group A), and 5 students who lived in the UK for more than two years (Group B). The responses of the 10 participants were examined, grouped together into similar topics with semantic and latent codes generated and labelled for data items with similar content and ideas. Themes and sub-themes were produced to incorporate some codes with over-arching ideas or topics, which were then formally labelled after being reviewed until all the data items were represented by themes. In this table, the similarities and differences in the occurrence of responses in the themes and sub-themes present in participants’ answers regarding why people binge drink was explored between the answers provided by students living in the UK for more or less than two years. The main theme of addiction/drinking problems as a cause of binge drinking was higher in responses given by Group A than Group B. Furthermore, both groups of students similarly put down therapy as a cause for binge drinking. Breaking this down, both groups said binge drinking was caused by the need to escape reality or go blank. However, Group B put more responses down for the cause of binge drinking to deal with mental illness or suffering compared to Group A. Students in Group A gave more responses to support dealing with problems/stress as a cause for binge drinking, compared to no responses produced for this sub-theme from Group B.
Unsurprisingly, both Groups of students put social influence as a main cause of binge drinking for the same number of times in their responses. The main difference between the Groups of students in their perception of binge drinking under this main theme of social influence, was that binge drinking is socially acceptable, as there were more responses for this with Group A, compared to none from Group B. Overall, there was only a slightly higher number of responses from Group B who claimed excitement and pleasure as the main cause of binge drinking. Interestingly, more responses from Group A were given for the theme of lack of knowledge or misinformation about binge drinking, compared to no answers from participants in Group B. One response from Group B added the cheap cost of alcohol as a cause of binge drinking, compared to no responses from Group A. The theme of university culture as one of the reasons for binge drinking was present in many more responses from Group A than Group B. Finally, the theme of getting drunk fast was only present in one of the codes given by a participant in Group A, compared to none responses from Group B. Overall, students living in the UK for more or less than two years have differences in their perceptions of the causes of binge drinking. For students living in the UK for more than two years, the cost of alcohol, excitement, and dealing with mental illness or suffering seemed to be the main causes of binge drinking, differing from the number of responses with students living in the UK for less than two years. Nevertheless, the difference in responses between the groups of students regarding dealing with stress and problems as a cause of binge drinking shows a mixed perception from both groups of students with regards to mental health issues as a cause of binge drinking. It is interesting to note that students living in the UK for less than two years put misinformation or lack of knowledge as a factor for the cause of binge drinking. This indicates that perhaps the cause of binge drinking in some cultures may be due to the taboo nature of binge drinking, hence to the lack of open knowledge about it, or the differences and limitations in the education of binge drinking in some countries. However, both groups of students had similar views towards binge drinking with the themes of social influence, addiction or drinking problems, and therapy. The only significant difference between the groups was that students living in the UK for less than two years stated that social acceptance and university culture cause binge drinking. This may show that these factors that form a part of university culture in the UK may be causing students to binge drink more than expected especially compared to other countries, where alcohol may be more expensive, and binge drinking may be less socially acceptable. This may show the real harmful and powerful influence university life in the UK has over students in regard to binge drinking, resulting in long-term negative consequences. Therefore, university culture should be the first point of scrutiny when developing methods to decrease binge drinking in the UK. “Binge Drinking in College – The Impact of Alcohol in Higher Education.” AddictionCenter, 19 Nov. 2018, www.addictioncenter.com/alcohol/binge-drinking/.